New Delhi: The Congress on Monday accused Prime Minister Narendra Modi of trying to mislead the people of Gujarat on the contributions of Jawaharlal Nehru with his "untrue" statements and said it reflected his "unhealthy mindset". 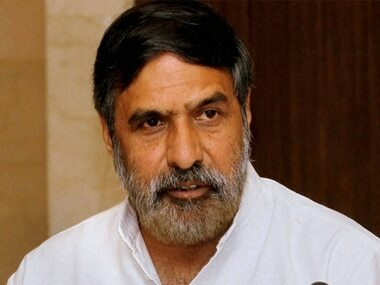 Hitting back at Modi over his charge that the Congress propagated dynastic politics, the party's senior spokesperson Anand Sharma said the prime minister "has forgotten" that the Congress gave prime ministers like Lal Bahadur Shastri and Manmohan Singh, who came from a humble background. Defending the Nehru-Gandhi family, the former union minister said none of the Gandhis were part of the government since the last almost three decades. He condemned Modi's claims that the Congress and country's first prime minister Jawaharlal Nehru did nothing for Gujarat and alleged that such a campaign emanated from the BJP's frustration due to its "impending defeat". "The prime minister has said that the country's first prime minister has not done anything for Gujarat. It is wrong and far from truth. We condemn it. The prime minister is having an 'aswasth mansikta' (unhealthy mindset) which is an issue of grave concern for the country," he told reporters. Sharma said that the prime minister's remarks at an election rally in Gujarat on Monday were "untrue". 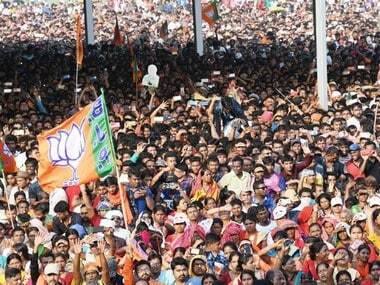 "The BJP is disturbed over the increasing support for the Congress in the state," he claimed. Sharma cited several projects initiated by Nehru in Gujarat like Amul cooperative movement, IIM Ahmedabad, National Institute of Design, formation of Gandhinagar, the state's capital, ONGC's complex at Ankleswar and development of ports like Kandla and Dahej, besides setting up of airports. "It is not right on the part of the prime minister to speak like this. He should abstain from giving such statements as the Congress is capable of denying them with facts. The prime minister is trying to mislead the people of Gujarat by giving wrong statements and is trying to lure the people of the state ahead of assembly elections," he alleged. Sharma asked what the Modi government had done for Gujarat and said it should be left to the people of the state and the country to judge its performance. "He (Modi) should not give certificates of honesty to his government," he said, alleging that the government was full of "tainted" people and was trying "to put a lid on big scams". "The Modi government is running away from accountability and that is why the prime minister never convened Parliament session ahead of Gujarat assembly polls and neither did he answer any of our questions," the Congress leader said. On Modi's charge of dynastic politics, Sharma said the Congress was led by stalwarts like Mahatma Gandhi, Subhas Chandra Bose, Sardar Vallabhbhai Patel, Gopal Kishna Gokhala and Madan Mohan Malviya. Countering the prime minister's attack on Nehru-Gandhi family, he said Rahul Gandhi, being an elected representative, was asked by the then prime minister Manmohan Singh to join him, but he did not do so during the 10 years of UPA government. "The Congress has never told the BJP whom it should elect as its chief. The prime minister should stop worrying about the Congress and focus on his party instead," he said. On the Rafale aircraft deal, he said the prime minister had no right to cancel the previous deal signed between the governments of India and France during the UPA. 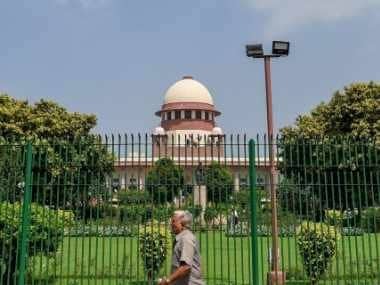 He alleged a scam in the deal as a public sector undertaking was ignored and a private entity without any experience in the defence sector was brought in. 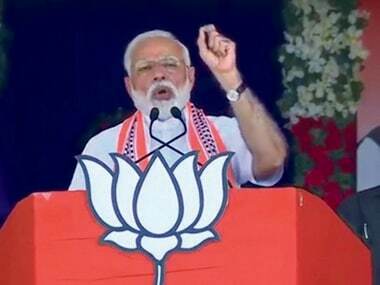 Earlier the prime minister, while campaigning in Gujarat today, hit out at the Congress over dynastic politics and alleged that the party did not do anything for the state. "On one side there is 'Vikas' (development) and 'Vishwas' (faith) while on the other side there is 'Vanshwad' (nepotism). Gujarat will never forgive the Congress Party and this has been the case for long. 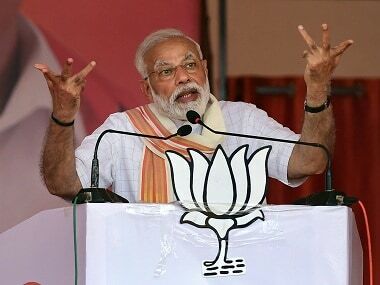 Congress has never liked Gujarat, has always preferred to see it lag behind," Modi said while campaigning in Kutchh region. Modi also alleged "Congress has shown contempt for Gujarat. They prevented Narmada waters from reaching people across the state, their reign was characterised by poor law and order, and they destabilised Chief Ministers from the Patel community be it Babubhai, Chimanbhai, Keshubhai and Anandiben."